We’ve been enjoying the various pre-Independence festivities that have been on offer since late last month, but now it’s time for the main event, and Jamaicans are gearing up to celebrate the country’s 53rd anniversary of Independence tomorrow, August 6. 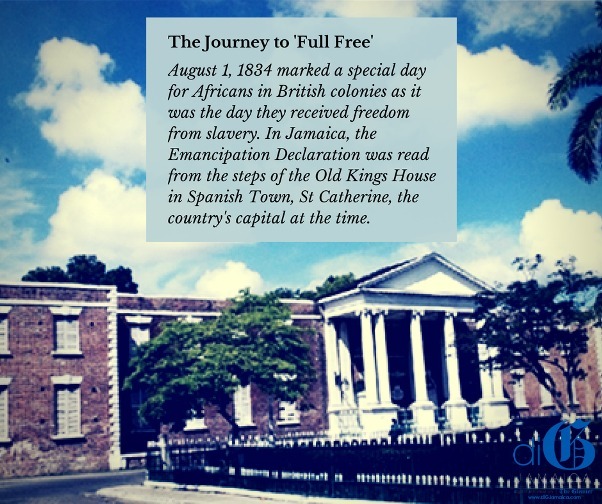 Today, we take a little trek down memory lane to recount Jamaica’s journey to Independence. Freedom can be said to have arrived in two stages; the first being the early morning of Friday, August 1, 1834. On that day many slaves were said to have walked up hills and climbed trees so as to clearly witness the literal dawning of their freedom. Around the island thousands attended “Divine Services” to give thanks and praise. August 1, 1834, marked the emancipation of all slaves in British colonies but it was a case of freedom with conditions. Next articleWhat Is It Like Performing At Grand Gala?